Pocomo Point is the best launch in the harbor for kiteboarding, windsurfing and many other water sports. 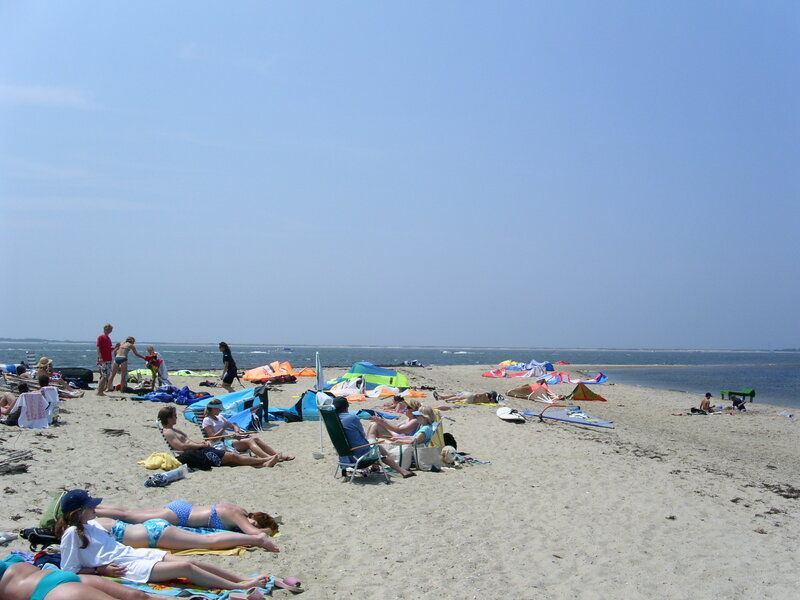 It offers outstanding flat water conditions and is the best non-boat access to Bass Point and the rest of the harbor. In the summer there is a strange but well documented meteorological effect which increases the prevailing South West wind. Often you can check the ocean and possibly get a marginal session on a 14 and then drive over to Pocomo and its solid 10. Pocomo is very good. In the past there was a period when Kiting had a bad run at Pocomo, and we were banned from the beach for a year and a half. 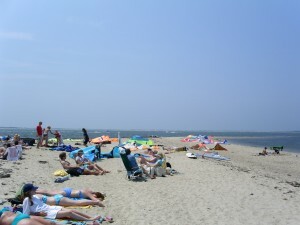 It was caused basically by conflicts between the way kiters were using the site and all the other users of the beach. Pocomo is a multi-use beach and is known to be one of the best “little kid” beaches on the island. Kites crashing near 5 year olds building sand castles wasn’t that good for our reputation. But now it is all resolved and we have full access to Pocomo with a few important limitations. 1. Always launch and land at the end of the point. 2. The Harbor Master will place two bouys in the water off of Pocomo Point. These will create an invisible line that kiteboarders will not ride inside of. 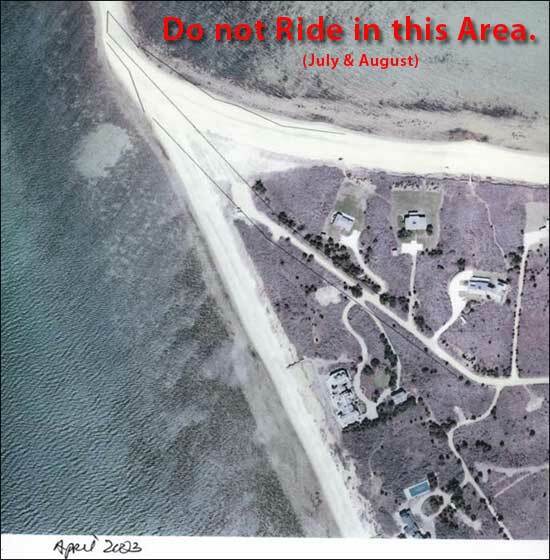 This is intended to create a “No Kite Zone” inside the point in the area which is commonly known as the swimming area. Pocomo is just a wind machine. I just sailed a solid session there this afternoon. When I went down to the water I was thinking 9 all the way. Then I called the Airport wind phone and it said 250 @ 13 so I started to doubt my decision. I went for the 12 and I was over the whole time. Couldn’t really make use of the spacious butter.